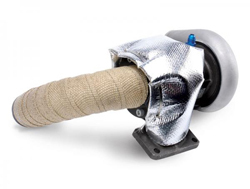 Turbo Insulation Kits are designed to fit all turbochargers to reduce turbo lag and underhood temperatures allowing for a cooler air charge for more horsepower while protecting engine components from damaging heat. Want this item shipped out today, April 22? Order within the next 4 hrs 14 mins.